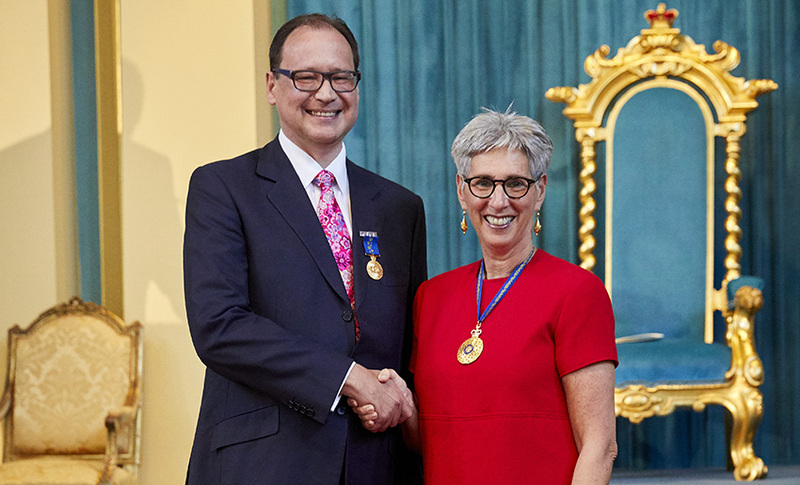 Exeter alumnus Jon Rolfe (1985, Mathematics) has been awarded the Order of Australia Medal for service to community health through fundraising contributions. He was presented with the medal by the Governor of Victoria, the Honourable Linda Dessau AC, at a ceremony in April. Jon emigrated to Australia in 2005, and after a career in finance retired in 2011 and has gone on to help various not-for-profit causes. He recently celebrated 10 years since receiving a double lung transplant, which became necessary due to the damaging effects of cystic fibrosis, a genetic disease he was born with.